Sterling weakened against almost every G10 currency today as Brexit noise left traders on tenterhooks. With uncertainty set to intensify ahead of the looming Brexit debate and meaningful vote in Parliament, the Pound could be instore for another rollercoaster ride. 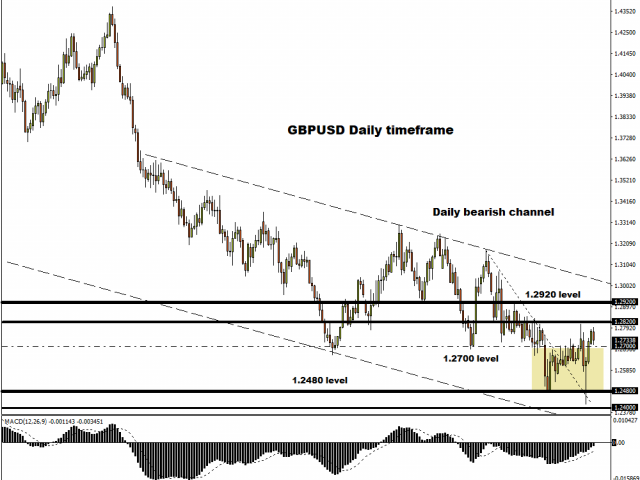 Focusing on the technical outlook, the GBPUSD remains in a very wide range on the daily charts with resistance at 1.2820 and support around 1.2480. A decisive breakdown and below the psychological 1.2700 will open the gates back towards 1.2590 and possibly 1.2480. Alternatively, ff 1.2700 proves to be a reliable support level then bulls are seen exploiting the correction to push prices towards 1.2820. Euro bulls were dealt a blow earlier today after disappointing economic data from Germany stimulated fears over slowing economic growth in the euro area. A stabilizing Dollar compound the Euro’s woes with prices trading around 1.1440 as of writing. Although the EURUSD is seen trading lower in the short term, the trajectory continues to favour bulls in the medium to longer term. 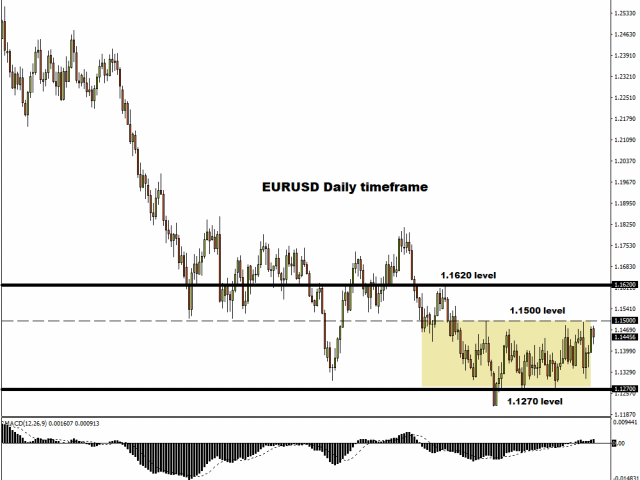 Technical traders will continue to closely observe how prices behave above the 1.1350 regions. A daily close above 1.1450 has the potential to trigger a move back towards 1.1500 and 1.1620, respectively. On the other hand, sustained weakness below 1.1350 suggests that prices will head towards 1.1270. Buying sentiment towards the Canadian Dollar has received a boost due to rebounding oil prices. A strong Canadian Dollar resulted in the USDCAD tumbling to levels not seen since early December around 1.33. 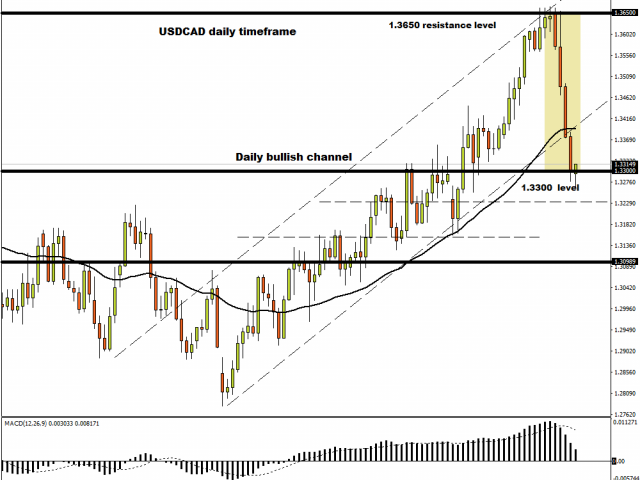 With price securing a solid daily close below the 50 Simple Moving Average and the MACD showing early signs of crossing to the downside, the USDCAD is likely to trade lower. A solid daily close below 1.33 has the potential to trigger a selloff towards 1.3230. Market optimism over trade talks mending relations between the world’s two largest economies boosted risk sentiment on Tuesday – ultimately reducing appetite for safe-haven assets. A stabilizing Dollar compounded downside pressures with Gold prices trading around $1284 as of writing. Regardless of recent losses, the outlook for Gold tilts to the upside amid rising geopolitical risk and global growth fears. Taking a look at the technical picture, the precious metal is firmly bullish on the daily charts. 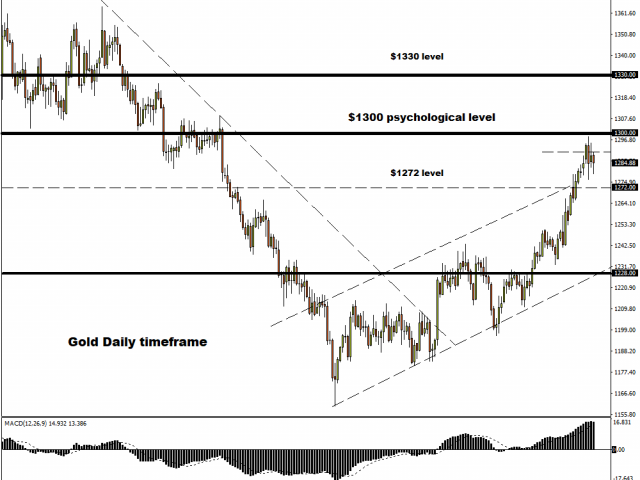 A breakout above the $1290 is likely to encourage an incline higher towards the $1300 psychological level.